Here are some September events happening in and around Baltimore. Go out and support our Orioles or visit a farmers’ market. All of that and more is happening this month in our town. 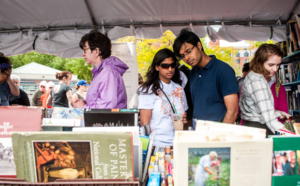 Celebrate the literary scene in Baltimore with 100,00 of your closest friends. Meet renowned and celebrity authors, attend book signings, watch panel discussions and cooking demonstrations, lots of children’s activities too. 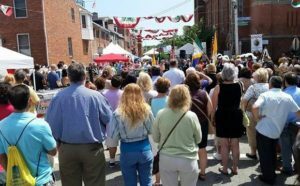 See lots of exhibitors, listen to live music and feast on gourmet food, beer & wine at the Inner Harbor, along the many blocks of Light St. & Key Highway. Here are some August events happening in and around Baltimore. Go out and support our Orioles or visit a farmers’ market. All of that and more is happening this month in our town. Courtesy of Maryland State Fair. You know the summer is almost over when it’s time for the state fair. The Maryland State Fair is a wonderful family event no matter what your age is. There are rides for small and big kids. If you don’t like the rides, you can see the animals. The 4-H has lots of animals on display as well as the large farm animals in the Cow Palace. And the food! Who doesn’t love fair food?! The fair always has lots of entertainment, including concerts. This year’s headliners are Hailstorm and Sabrina Carpenter. Spend some time in and around Baltimore in August. 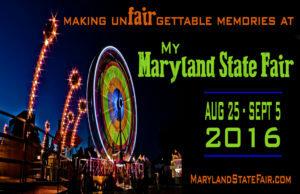 Our community offers many events this month including a visit to the Maryland State fair, concerts, lots of food and fun. Image courtesy of the Maryland State Fair. One sign that Labor Day is right around the corner is the Maryland State Fair. Great food, exciting rides, live concerts and lots of 4H animals make the state fair one of the best entertainment values of the summer. Cheaper than going to the movies, and lots more fun, it’s a great deal at $8 for adults and $6 for seniors and $3 for kids 6-11. For more helpful landscape ideas or help getting them accomplished, contact my preferred landscape contractor, David Dix of DCD Lawnscaping, INC at 443.463.9957. Dave has a horticulture degree and is the owner/operator of his small local business that has been serving the community for over 17 years. Tingle your senses with scents and colors at the Maryland State Fair, where Marylanders showcase their flowers for judging.